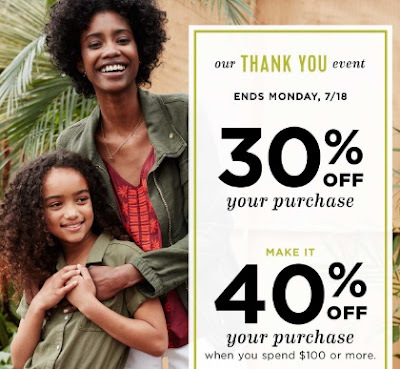 Old Navy has a Thank You Event on now! Save 30% off your entire purchase or 40% off if you spend $100 or more with the promo code below! Enter the promo code YOURTREAT at checkout. Offer ends Monday, July 18, 2016. This offer is in-store and online.